These Pineapple Sesame Meatballs are a winning combination of Asian flavors and sweet, juicy pineapple! 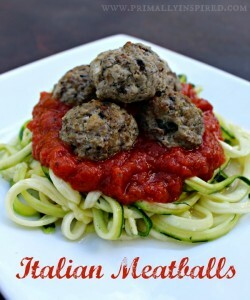 I love meatballs! They are just so dang versatile, right? 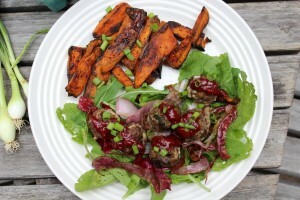 Pop ’em on a salad, pop ’em on a baked sweet potato, pop ’em on a lettuce wrap, pop ’em over a skillet veggie hash, pop ’em in your mouth. Oh, so many possibilities! 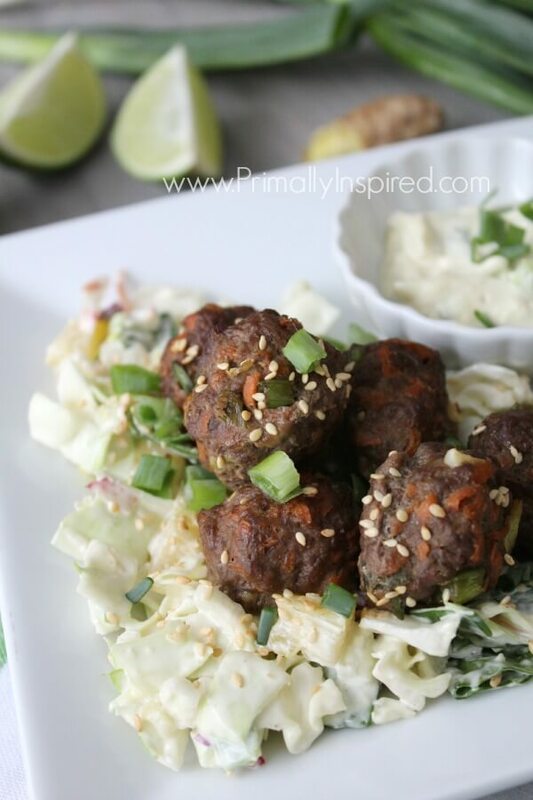 Our favorite way to eat them is on top of my pineapple ginger coleslaw. It’s such a delicious combination and full of good nutrition. 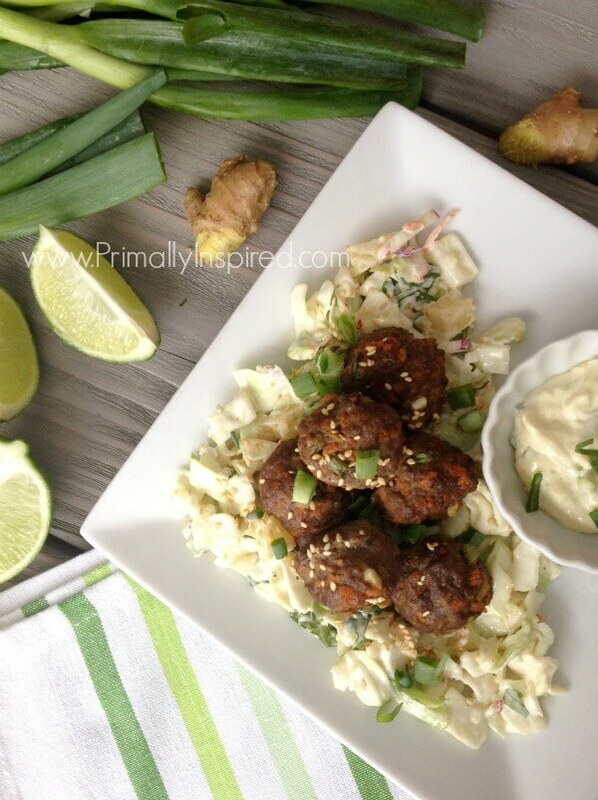 I included my Pineapple Ginger Coleslaw recipe in the notes section of the printable recipe card down below – you don’t want to miss it! 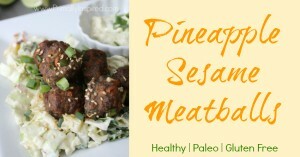 Pineapple Sesame Meatballs from Primally Inspired. 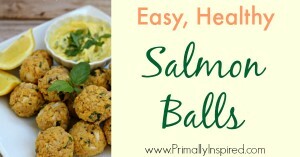 Paleo & Gluten Free. 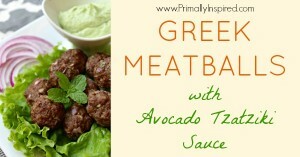 Form into golf ball sized meatballs (makes about 18-20). 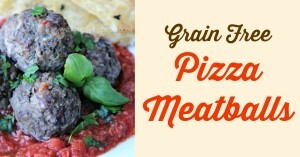 Place meatballs in a baking dish and bake for 20 minutes or until meatballs are cooked through and slightly browned on top. Top with optional toppings and enjoy! 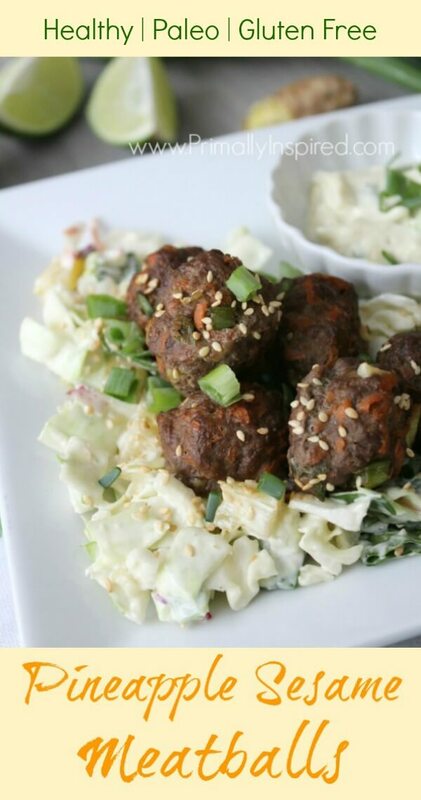 My favorite way to eat these meatballs is over my easy Pineapple Ginger Coleslaw .